I had such a good time making this card. 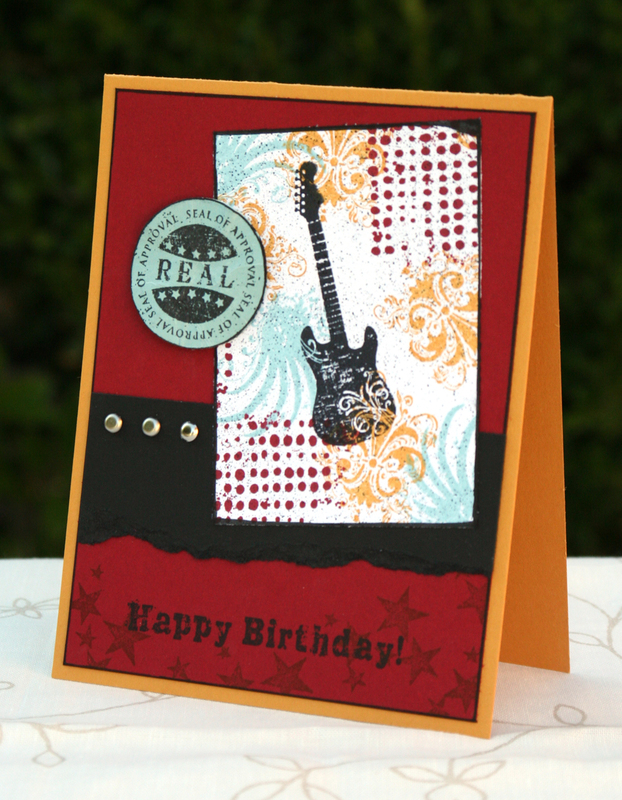 When the new Idea Book & Catalog was released in July, Grunge Rock was the first stamp set I purchased. This set is so easy to use, here is the card I made with it for my husband’s 30th birthday. Tip: When you want a truly, rich black ink, use Jet Black Stazon instead of Basic Black. On this card I used the Basic Black marker for the spritzing and the edging, but stamped the guitar and greeting in Stazon. Thanks for checking out my blog, check back tomorrow! Great card! I need some cards for teenagers!